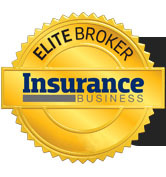 Over 45 Years of History in the Insurance Industry. O’Grady & Associates Insurance Services in a leading provider of personal, commercial, and farm insurance for communities in Southern Ontario. For more than 45 years, O’Grady & Associates has been helping Canadians make proper insurance decisions at the lowest cost. 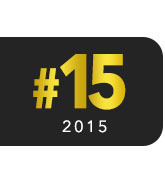 Our clients choose us for our expert knowledge and exceptional service. With O’Grady & Associates you can expect to receive high quality service, tailored to fit your unique situation and style of living. We are very proud of our history. 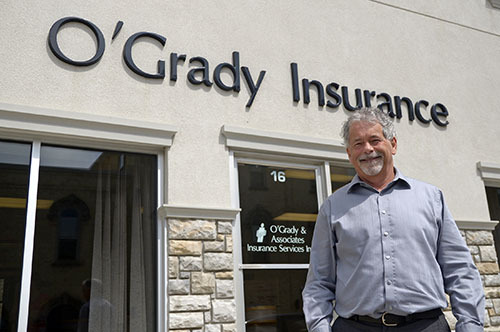 Learn more about our individual offices and how O’Grady & Associates has become an insurance leader in Southern Ontario. O’Grady and Associates is no youngster with 50 years of history, but its roots go back much further into the early days of the last century. The business was started by Lloyd O’Grady, father of present owner Mike O’Grady, in 1964. Lloyd purchased the Norman J. Helsdon Insurance Agency in 1964, following Norm’s death in late 1963. Helsdon started the company in 1928. Lloyd was originally from Hamilton and was transferred to Tillsonburg as an employee with the Royal Bank. He met his wife Audrey at the bank. She was the only child of Leonard and Natalie Owen, who were prominent Tillsonburg citizens. The Owen connection also takes the business back a few more decades into Tillsonburg history. Owen owned a Chevrolet dealership on Broadway where the present-day Sears building is. He had an interest in horses and owned Lee Hanover, which was Canada’s first two-minute trotter. 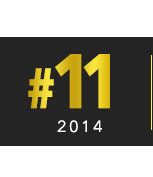 O’Grady & Associates Ranked Seventh Nationally. Read the story on Tillsonburg News. The uncle of former NHL hockey and Port Dover native Red Kelly, Owen had a love of hockey. He played a role in building the arena. Owen and Gerry Livingston formed the Chevwood Intermediate A hockey team in 1949, after hand picking players from across the province. The team won the provincial championship in the 1950s. Owen also owned the building on Brock Street where O’Grady and Associates is now located. Lloyd left the bank and worked for his father-in-law selling cars for a short time. He bought a tobacco farm in Langton in 1956-57 and became involved in local politics. Eventually, he became reeve of North Walsingham and warden of Norfolk County. Through his involvement in municipal politics, Lloyd learned about municipal insurance. “After he got froze out a couple of years in a row, Frank Cowan (insurance company) hired him,” Mike recounted. With a few years under his belt selling hospital and municipal insurance, Lloyd purchased the Helsdon business when it came up for sale. Audrey eventually purchased the building on Brock Street and O’Grady Insurance moved to 20 Brock Street in 1972. Mike attended the University of Guelph, earning his BA in psychology. He worked at Homewood Sanitarium in Guelph after graduating.“This opportunity came up with my dad, so I decided to move back,” he said. Involved in the business since 1978, Mike bought out his father in 1994, His father passed away in 1997 and mother in 1998. Mike purchased the building from the estate after his mother’s death. Around the same time, he bought out the Mooney Insurance Company. 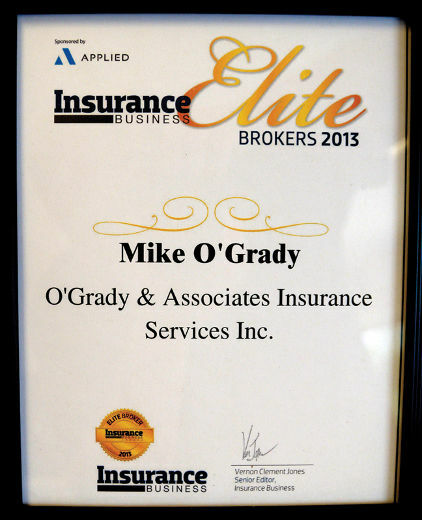 Mike achieved his “Associate of the Insurance Institute of Canada” (A.I.I.C.) in 1988. Today this is known as the CIP or “Chartered Insurance Professional”. In 1997, the company was renamed O’Grady and Associates Insurance Services Inc. An office was opened in Delhi at that time. Maria Dickey is the manager of the Delhi office. Today O’Grady Insurance deals in commercial, residential, automotive, farm, boat and life insurance. They deal with six major companies – of which five are Canadian – a fact Mike is proud of. In addition, they also deal with several smaller companies. “Anything and everything to do with insurance,” Mike said.